You are legally required to have a bicycle license / permit when riding in the city. You can get a Provo bicycle permit by visiting the Provo City Licensing Administrator at 351 West Center Street or Provo Bicycle Collective at 397 E 200 N. Permits cost $1 and are good for the entire time you own the bike and live in the area. Staff at Provo Bicycle Collective can help you determine these characteristics of the bicycle and complete your registration for only $5. 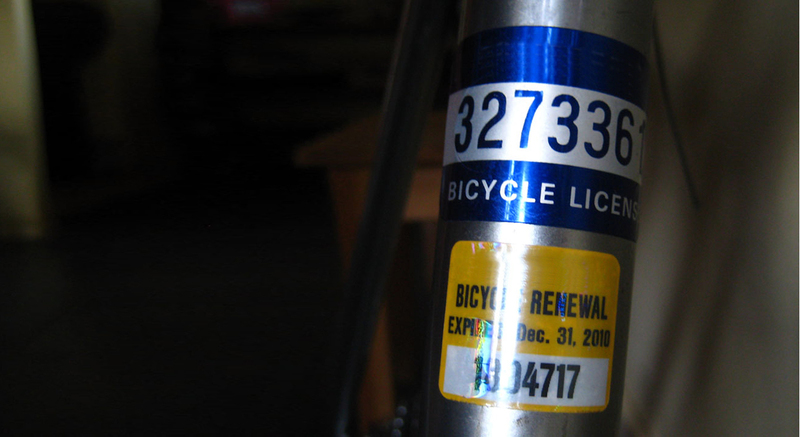 After completing the paperwork and paying the fee, you’ll be given a metallic sticker for your bike. The number on the sticker can be used to trace original ownership of the bike in case it is lost or stolen.